Not your typical sushi restaurant, Uni Sushi offers its diners an unparalleled experience both in taste and ambiance! "99 problems but your lunch ain’t one. " "Sashimi salad, you're looking mighty fine!" "Ain’t no party like a sushi party! " "Next time you order a drink at our bar, try saying "cheers" in Japanese! " Wonderfull and now very traditional place to eat good japanesse food at Market Street in Woodlands, TX. Great place to eat good sushi. I can't get enough of this place! Yes, I'd like to receive news from Uni Sushi. 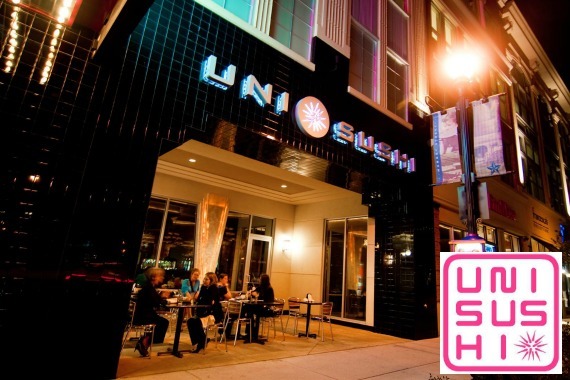 Sign up for the Uni Sushi Newsletter!